Google has finally launched Home and Home Mini in India, with both smart speakers going on sale from today. The Home Mini is priced at Rs 4,499, while the bigger Google Home has a price tag of Rs 9,999. Both will be available at Flipkart, as well as retailers such as Croma, Reliance Digital, Vijay Sales as well as through ACT Fibernet. It’s been two years since Google unveiled first Google Home smart speaker in 2016, which is built around Google Assistant. A direct rival to Amazon’s Echo line of connected speakers by Alexa, it will be interesting to see how Google Home does in India, where Amazon has a head-start in this game. 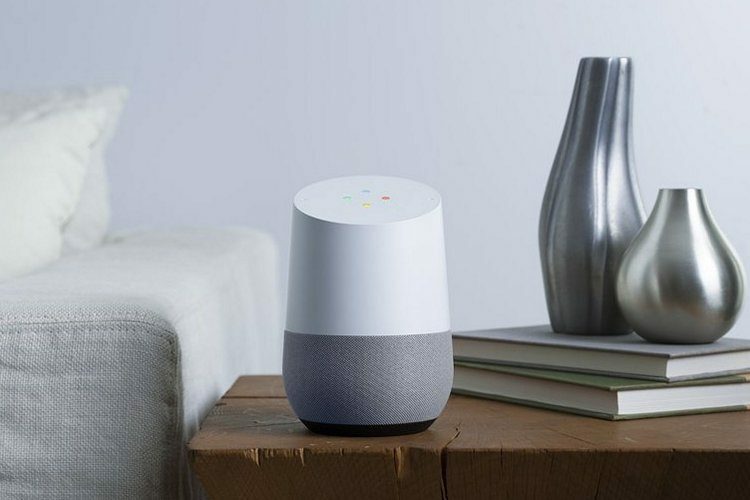 Through Google Home and the smaller Mini, which was launched last year, users are able to talk to the Google Assistant for searches, playing music, getting daily routines and manage tasks around the home. If you have compatible smart home accessories and devices, Google Home can be used to control them as well with voice commands. Google claimed at the event at over 1,500 devices and 200 smart home brands are supported by Assistant. The larger Google Home has interchangeable bases in a variety of colors, while Google Home Mini, the puck-sized smart speaker will be available in black and white. Google Home will also bring along support for Hindi soon, as well as other Indian languages in the future, to take on Amazon Alexa. The latter has already gained considerable ground on Google by launching in India earlier, though Google still has some exclusives and a wider user base to target with Android phones and their built-in Google apps. Hindi support will be a key differentiation if Google manages to push it out before Amazon. To start with, Google Home will come with support for Netflix, YouTube, Gaana, Saavn and Google Play Music app. To control Netflix videos, you need to connect your Chromecast to Google Home and you can directly play and change content on your big screen. Indian users can also send recipes to Google Home from search results for them to be read out step-by-step as you cook. Overall, Google says it has built over 1 million capabilities for Google Assistant which powers Home. This includes India-specific additions such as reading out cricket scores, which should come in handy during the IPL season. At the event Google India and SEA VP Rajan Anandan said India was a key market for voice-based products. So are you excited for Google Home? Do you want Google to launch Google Home Max in India too? Which smart speaker will you be picking up? Let us know this and more in the comments.